6634A series is a modular series of Resistance Standards that can be rack mountable or simply set on a bench. The 6634A Series provides a set of up to 10 precision resistance standards enclosed in a temperature controlled and EMI protected chamber. For the Normal Ohms Configurations, there are 10 standard resistance values available covering the range of 0.1 Ω to 100 MΩ. Each resistance element is isolated and has 4-terminal connections on the rear panel. 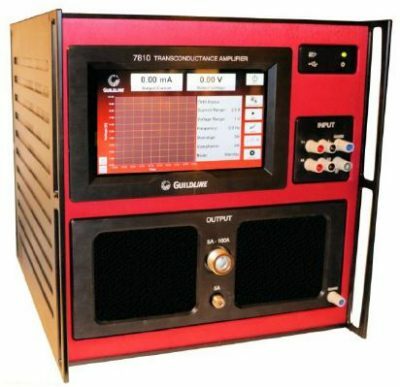 The resistance elements are maintained at approximately 30 °C in a temperature stabilized chamber. Each element is built with Guildline’s “true” multi-element design. National Measurement Institutes, military, and calibration laboratories. 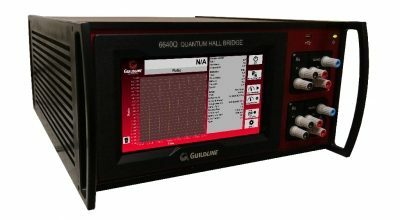 The Model 6634A is excellent as a working standard for automated resistance measurement systems or as reference standards at the primary level. Special resistance values are available in the range of 0.001 Ω to 100 MΩ. Standard model variations are available with 5, 6, 7, 8, 9 or 10 resistance elements installed. All models purchased with less than 10 resistance standards can be expanded at any time via a factory upgrade. Special resistance values can also be ordered. A New Low Ohms Configuration is now available for values below 0.1 Ω. This Series has the same precision temperature stability as the Normal Ohms Configuration, but is limited to a maximum of 3 Resistance Elements. This is due to the large size of the low ohmic elements. The Resistance Range of the Low Ohms models is from 1 mΩ to 100 mΩ. One key advantage of Guildline Resistance Standards is that each Resistance Value is made up from multiple resistance elements, not just a single element which is the technique used by most manufacturers. This approach lowers the drift that is seen with a single element and reduces the internal noise generated inside the reference resistor. 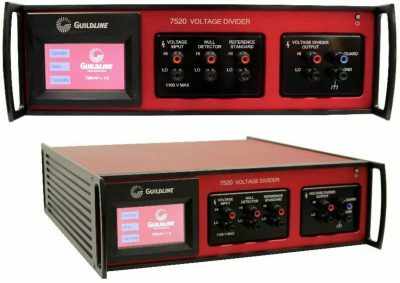 Other real advantages are the use of a PRT vs a thermistor for internal temperature control, and the Guildline 6634A Standard does not require any fans like competitive models. The result is industry leading annual drift rates and very quiet measurements.